The ‘Freiberg Colloquium’ is a series of lectures of the Saxon State Office for Environment, Agriculture and Geology, of the Saxon Mining Authority, of the Geokompetenzzentrum Freiberg. e.V., of the Saxon State Archives/Mining Archives, of the Technical University of Freiberg and of the terra mineralia. Galaxies in space, lichens on tree trunks, mineral crystals – they all have one thing in common, their forms have “grown” naturally and seem as if they have been formed as random as well. Scraps of paper by the artist Hans Arp, action paintings by Jackson Pollock and the colourful pieces by Gerhard Richter in the windows of Cologne Cathedral – these works of art give the impression that they have been spontaneously and almost randomly created. But what is randomness in nature or art? 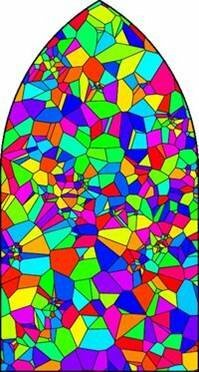 Is it possible to investigate random geometric structures scientifically? Yes, it is – that is what stochastic geometry and spatial statistics is concerned with, the fields Prof. Dietrich Stoyan works in. There are numerous mathematical models you can create structures with that look very similar to those in nature and art. So mathematics can help in understanding works of art. But how do artists actually go about their work – do they just leave things to chance, or do they in fact use algorithms? Are there similarities between nature, science and art? With the help of examples, Prof. Stoyan will attempt to provide answers to these questions. Prof. Dietrich Stoyan, former vice chancellor of TU Freiberg, is an internationally recognised mathematician. It was thanks to Prof. Stoyan that Freiberg became a centre for spatial statistics. He is the author of 370 scientific publications, 26 books, and has written a standard textbook on stochastic geometry. For Prof. Stoyan, it was always important to work on the applications of mathematics. 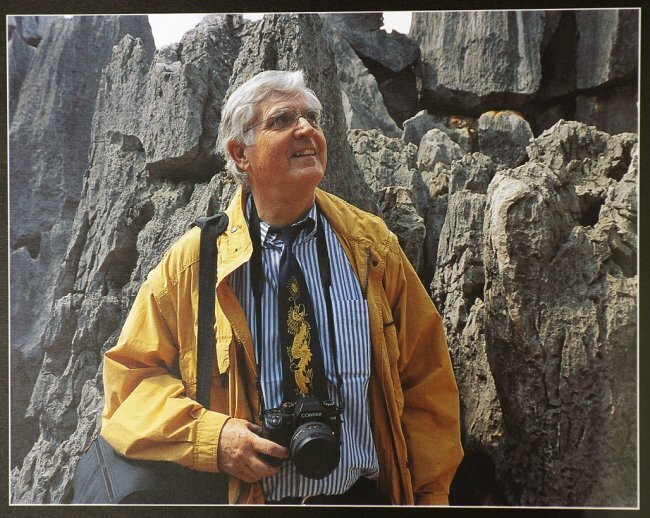 He engaged in studies, for example, on the modelling of mining quarrying systems, on the processes of biological systematics, geological fracture systems, porous concretes and much more. Nevertheless, Prof. Stoyan is most famous for his Euro project, which was even reported in the New York Times. A humorous alternative to the windows in Cologne Cathedral by Gerhard Richter: Dirichlet mosaic for a cluster point array; Hahn and Stoyan in the FAS on 9 September 2007. The Search and Selection of a Site for a Permanent Repository for Heat Generating Radioactive Waste Act (“Site Selection Act”) was passed in July 2013. 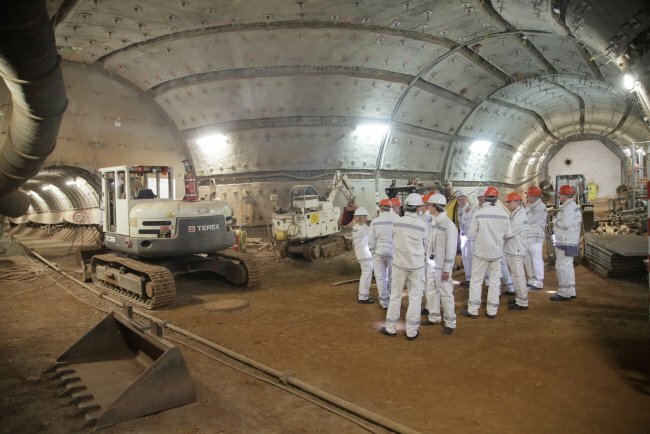 The act is to be evaluated by the Commission for the Storage of Highly Radioactive Waste Products (“Permanent Repository Commission”) established by the Bundestag and Bundesrat. The 32-member commission has the difficult task of identifying minimum requirements, exclusion criteria and priorities for the site search which were not precisely specified in the Act, and of providing more exact specifications for public involvement in the site search. The aim is to achieve a “new level of quality” in public involvement that exceeds the usual public involvement in the planning process. The site selection process will happen in three stages and is likely to take several decades. The goal is to find a permanent repository site offering “the best possible security for a million years”. In this lecture, the speaker, a member of the Permanent Repository Commission, will report on the commission’s work and on the (preliminary) outcomes thus far. 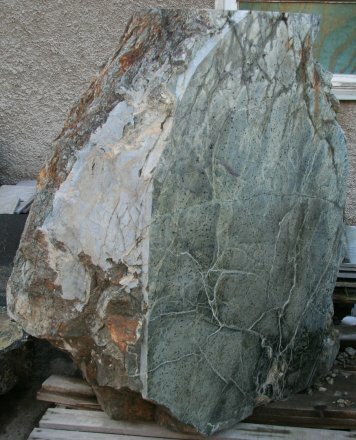 Serpentinite deposits are found across the globe. But it was only in Saxony that manufacturing with the stone achieved European significance. The starting point and centre of Saxon serpentinite craftsmanship from the mid 15th century was the town of Zöblitz, situated on an ancient Ore Mountain ridge trading route via Prague and Italy. Under Augustus, Elector of Saxony, together with his sons and descendants, serpentinite stonework experienced a matchless revival from the closing quarter of the 16th century. The stone was used in numerous electoral building projects and exported to allied courts. And it was in Zöblitz, towards the end of the 16th century, that the sole serpentinite turners’ guild in Europe was established. Right up until the guild association’s disbanding after the middle of the 19th century, Zöblitz master craftsmen were turning a whole range of distinctive table and household equipment on their “Fitschel” (lathes). Serpentinite – the “snake stone” – had been attributed with magical powers offering protection from poison all the way from Antiquity. So serpentinite equipment, set mostly in precious silver and gold, was highly prized around royal tables across Europe, featuring in practically every ecclesiastical and secular cabinet of curiosities north of the Alps. Simpler, pewter-mounted drinking and serving vessels even found their way into middle-class households from the mid 17th century. After a number of serious crises, the foundation in 1861 of the Saxon Serpentinite Stone Stock Market provided the backdrop for one final flowering. Today, the craft has come to nought. The quarries in the Zöblitz and Ansprung fields are closed. But tracing five hundred years of grandiose Saxon serpentinite craftsmanship success nevertheless remains fascinating to this day. Serpentine block with a chopped and polished side, photo: Michael Wolf, own work, wikipedia. 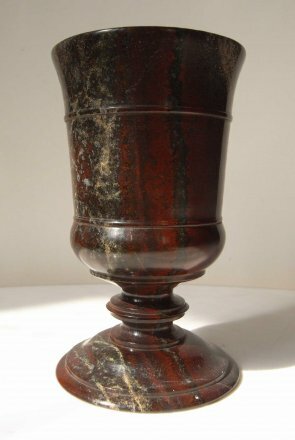 Drinking cup from the rare red Zöblitzer serpentine, photo: Lysippos, own work, wikipedia. Natural resources in Africa are important for supplying the global economy while resource exports are central to the economies of many countries. Increasing demand (including in emerging markets) and increase in prices for individual commodities could be a great opportunity for African mining countries. 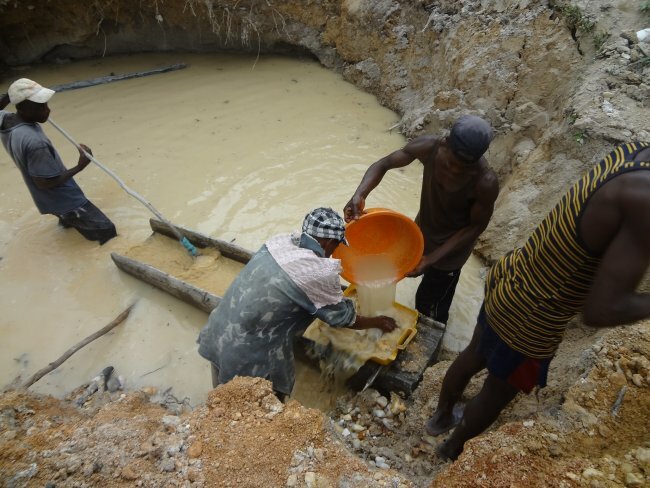 Yet, in many parts of Sub-Saharan Africa, mining still occurs at a very small scale, in a labor intensive way associated with little to no mechanization, and is generally categorized as Artisanal and Small-Scale Mining (ASM). Furthermore, in Central Africa, ASM is also linked to conflict minerals (simply put, “Conflict resources are natural resources whose systematic exploitation and trade in a context of conflict contribute to, benefit from or result in the commission of serious violations of human rights, violations of international humanitarian law or violations amounting to crimes under international law” (BICC, 1994)). This presentation will establish a picture of the mining sector of Africa, both industrial and artisanal as well as the conflict mineral issue. It will also describe the link between these actors and initiatives around ASM and conflict minerals. Artisanal mining in Africa, here: mining of cassiterite (tin) in Kailo Mine, Democratic Republic of the Congo, photo: Nathalie Sterbik. Ever since it was established in 1765, TU Bergakademie Freiberg has been grappling with the present and future resources issues of the day. The key to the university’s continued and successful development has always been the vision and ideas of its members regarding its future direction. 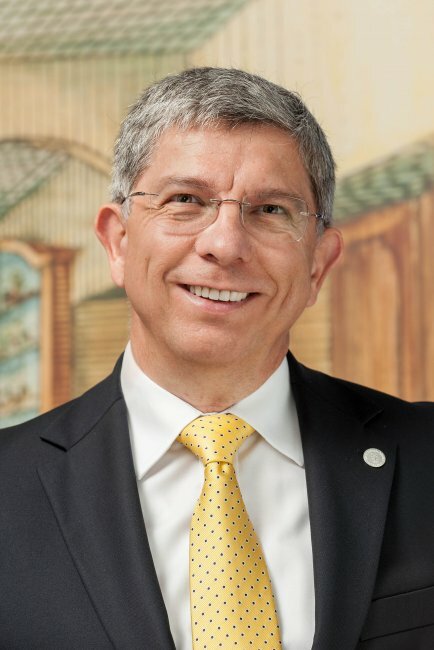 In the context of the Freiberg Colloquium, the Bergakademie’s 40th Rector, Prof. Klaus-Dieter Barbknecht, will provide insights into his vision and ideas for meeting the resources university’s current and future challenges. 147. Freiberger Kolloquium, Attention: new venue! The senate hall of the TU Bergakademie Freiberg, Akademiestraße 6. As recently as 20,000 years ago, northern Germany lay under a sheet of ice 250–500 metres thick. It melted within 10,000 years, the sea level rose by around 110 metres, and the CO2 content in the atmosphere rose to pre-industrial levels. This was the transition from a cold period (duration 80,000 years) to the current warm period we’ve been experiencing for the last 11,600 years. This is otherwise known as the most recent glacial cycle of several cycles over the last 800,000 years (duration, 100,000 years each). For 2.8 million years, the earth has also been in the unique situation of having both polar caps frozen over. The lecture explains the development of climate in the history of the earth over the last 600 million years, hypotheses for the causes of climate change, and the use of the most important archives for climate reconstruction. 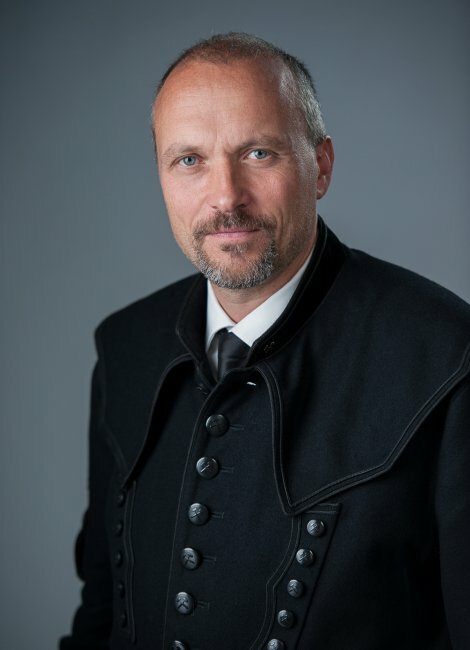 Dr. Wolfgang Werner, Landesamt für Geologie, Rohstoffe und Bergbau Baden-Württemberg, Freiburg i.Br. 148. Freiberger Kolloquium, Attention: new venue! The senate hall of the TU Bergakademie Freiberg, Akademiestraße 6. At the turn of the millennium, the demand for weather-resistant, high static load-bearing capacity original stone for major buildings grew significantly due to a range of important restoration projects, not least because the expensive maintenance measures that had been nearly exclusively used thus far often proved ineffective. Regional conservation agencies thus called upon the expertise of the Geological Service to source original stone for extensive stonework replacement initiatives. Following the successful and comparatively inexpensive restoration of a major basilica using volcanic rock from the Kaiserstuhl identified by the regional service, commissions for sourcing high-quality local ashlar subsequently multiplied from ecclesiastical building authorities, cathedral stonemasons’ lodges, owners of palaces and castles, and a number of stonemasonry and restoration firms. Extensive mapping and drilling programmes, many spanning multiple years, led to evidence of historically exploited ashlar deposits with the sought after types and qualities of stone in other areas as well. Trial excavations with heavy machinery followed. In the period that followed, hitherto unknown deposits that now provide materials for major Romanesque and Gothic buildings, were also identified. The restoration of St Stephen’s Cathedral in Breisach with original materials is complete, extensive restoration work to the cathedrals of Ulm and Freiburg has been ongoing for several years and has been commenced on Hohenzollern Castle, to name but a few notable examples. The successful partnership between the Regional Geological Service, regional conservation authorities, building owners and the natural stone industry has become paradigmatic nationwide. The lecture will first present the impressive variety of local ashlar types, providing examples of their origins. 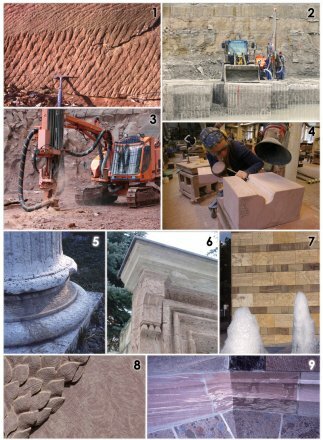 A number of exciting modern examples of the preservation of historical monuments will then be presented, all the way from the Geological Service’s commissioning, through the identification of stones and damage, the search for original deposits and their assessment and development, to the incorporation of the new ashlar into the historic buildings. 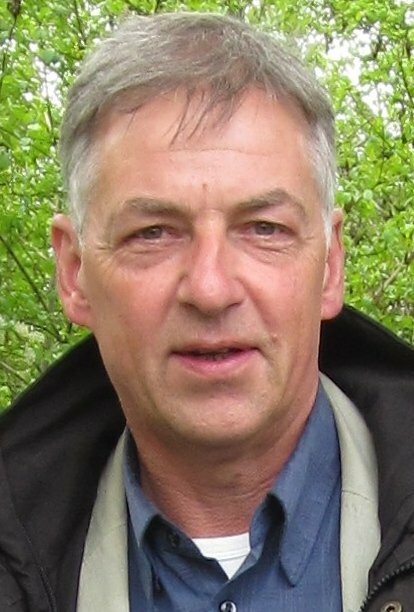 Prof. Helmuth Albrecht is the director of the World Heritage project group "montane region Erzgebirge", which is responsible for adding the region to the Unesco World Heritage List. In 2014 an application for its inclusion was prepared by the project group and subsequently presented to the World Heritage Committee in Paris. However, the application had to be withdrawn in the spring of 2016. Prof. Albrecht will report on the current state of the application process as ICOMOS International in Paris, which is responsible for examining applications, has recommended that it be reviewed. A new version of the application should therefore be submitted in Paris by February 1 2017. The project group is responsible for the revision of the application. 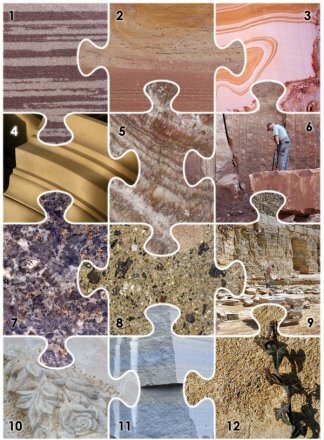 Geological materials were among the very first objects collected and displayed in museums. 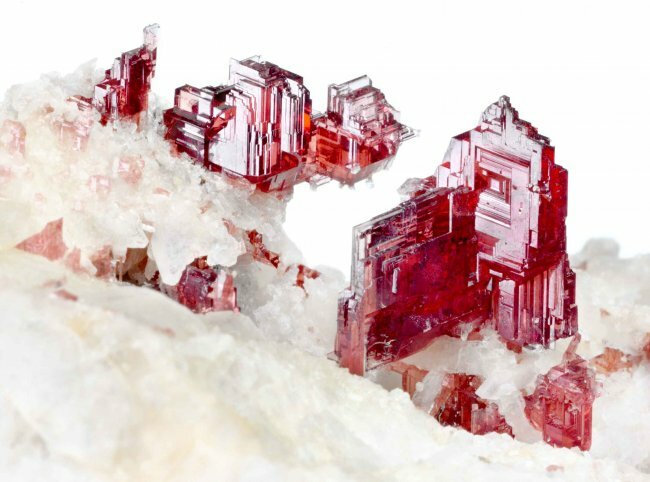 The fascination with rare minerals in the natural science cabinets of the 18th century is now dwarfed by the over-dimensional hunger for raw materials in the 21st century. Rare earth elements are becoming even rarer due to the massive exploitation of nature and are frequently the subject of contentious disagreements. This event is part of the FELLOW ME! Mobile Academy of the International Museum Fellowship Programme funded by the German Federal Cultural Foundation. On 20 November 1946, 70 years ago, the centuries old Saxon Mining Office in Freiberg was dissolved by Order No. 323 of the supreme head of the Soviet military administration. 45 years later, in 1991, the newly-formed Saxon Mining Office found itself facing enormous challenges: the GDR’s extensive state mining operations – for uranium, iron and lignite in particular – largely collapsed under the new economic conditions. Centuries of mining heritage had shaped the region profoundly and extensively. The mining oversight structures with the new legal framework of the Federal Mining Law needed complete reorganising. Over the years that followed, this structural change in Saxon mining was implemented under the oversight of the Saxon Mining Office. The result was numerous closures together with extensive efforts to make the estates in question reusable and profitable. Today, there are new challenges facing mining in Saxony and the Saxon Mining Office. In particular, the free state’s efforts since 2012 towards the safe, clean and environmentally-responsible provision of raw materials for industry require the mining administration to organise and develop new mining operations circumspectly. In addition, redevelopments in many areas are entering into the clan-up phase, entailing new technical challenges for businesses and mining administrators. In his lecture, Chief Mining Officer Prof. Bernhard Cramer will be examining these enormous changes and their effects right up to the present day, even as the Saxon Mining Office itself is continuously developing. Delivering modern digital administration and managing the far-reaching transition between the generations of specialist staff, for example, are part of the latest challenges.